All Harpsicle® brand Harps, except the Brilliant!™, come with guitar strap buttons installed at the shoulder and low on the front of the column. 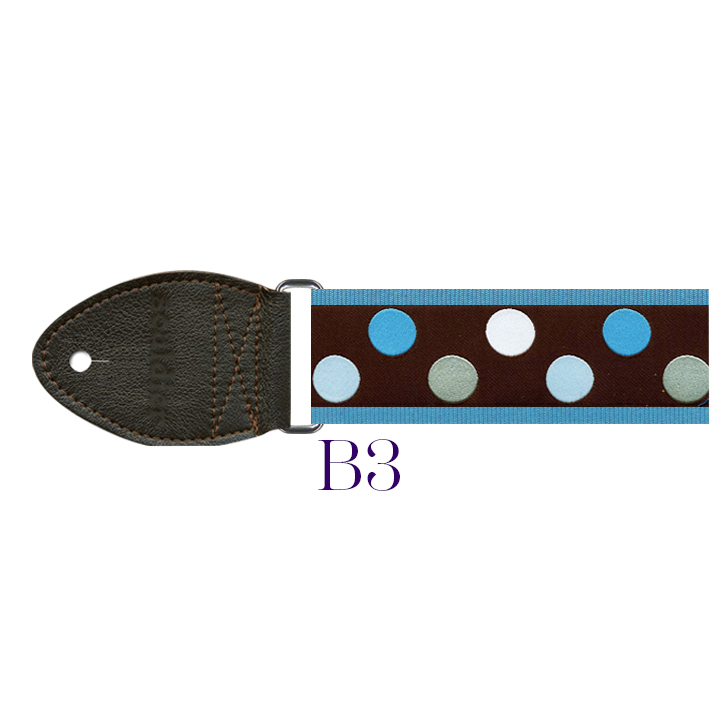 Simply attach each end of the strap to the buttons. Put your left arm and head through the harp strap loop making sure that the strap crosses over your right shoulder, across your back, and under your left arm. 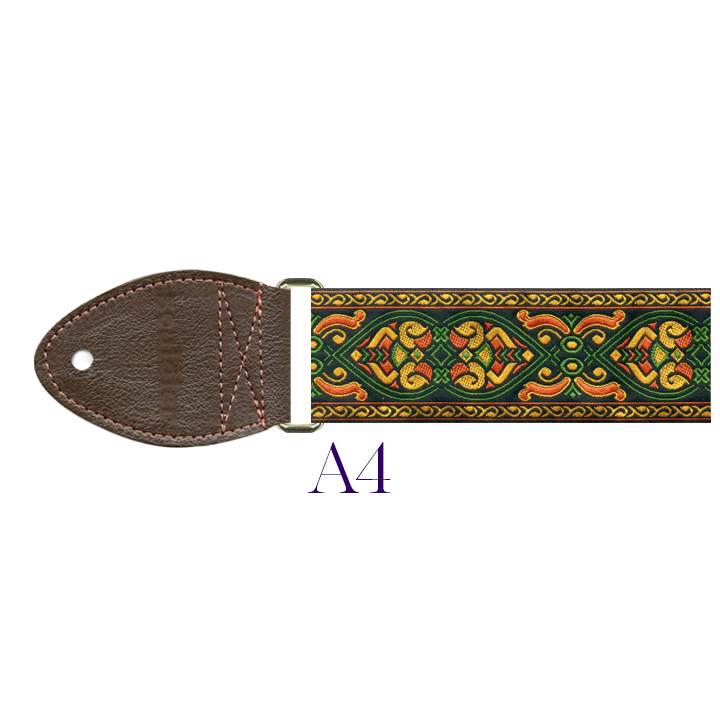 You will want to adjust the length of the strap and situate the harp so that it rest comfortably against your body. Depending on your body type, this position may vary a little for each person. Play around with the positioning and do what feels the most comfortable to you as long as your head stays on the left side of the harp. Strap your harp on to play sitting, standing or moving. 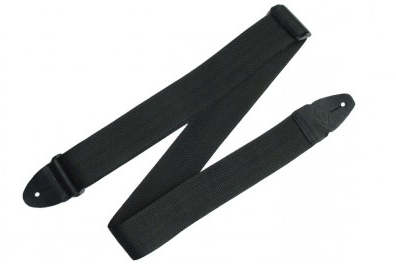 This black strap is made of durable, fade resistant nylon. 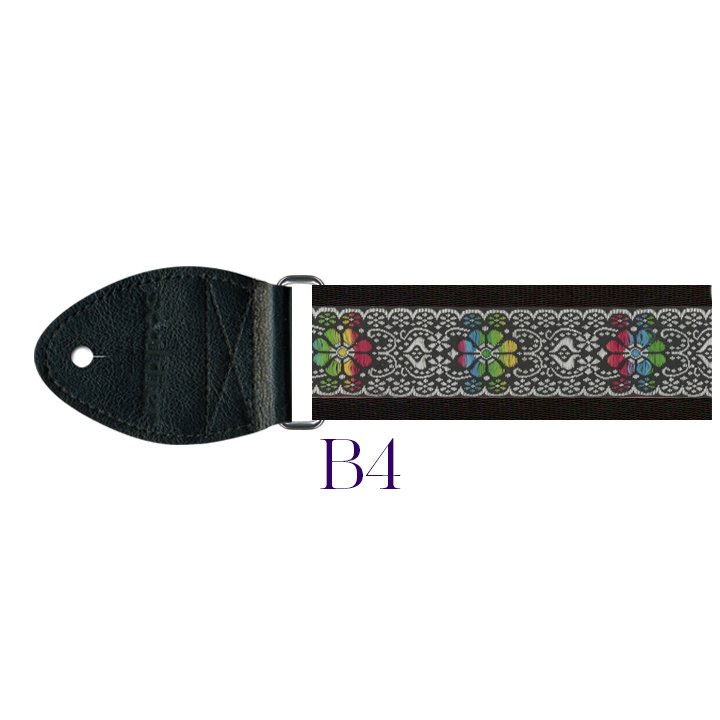 Harpsicle® Harp Strap in black. 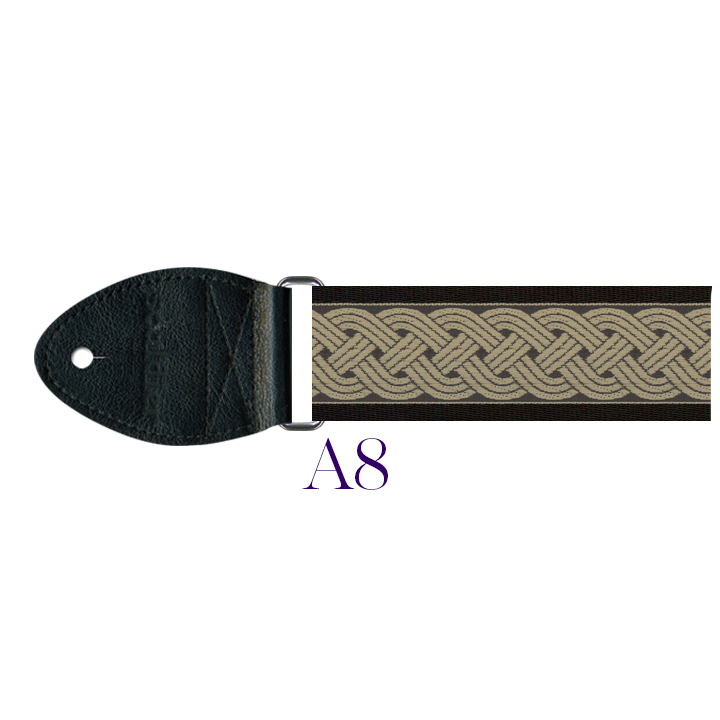 The Deluxe Harp Straps are made in Chicago by Soldier Strap Company. Strap your harp on to play while sitting, standing, or moving. 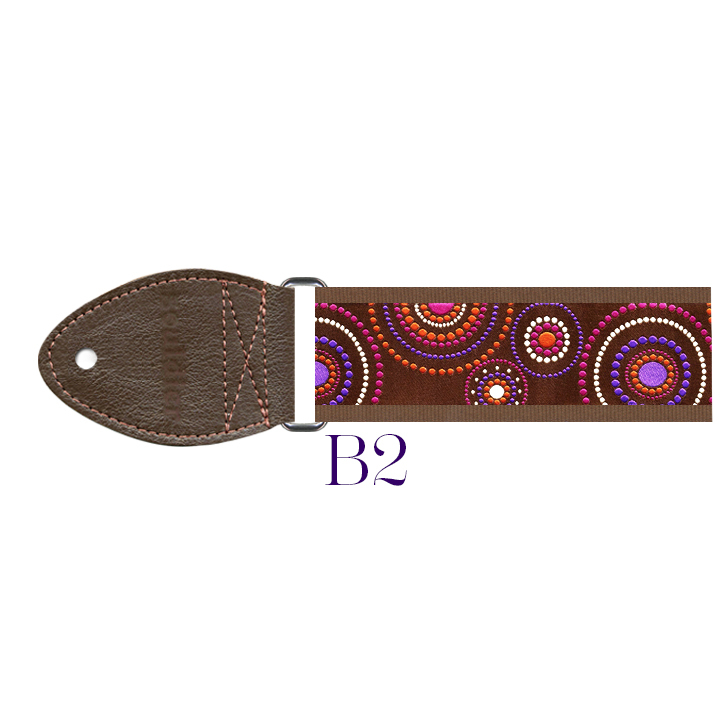 The underside of the strap is especially soft and is less abrasive on the finish of your harp as are both of the soft real leather ends. All Harpsicle® brand Harps, except the Brilliant!™, come with guitar strap buttons installed at the shoulder and low on the front of the column. 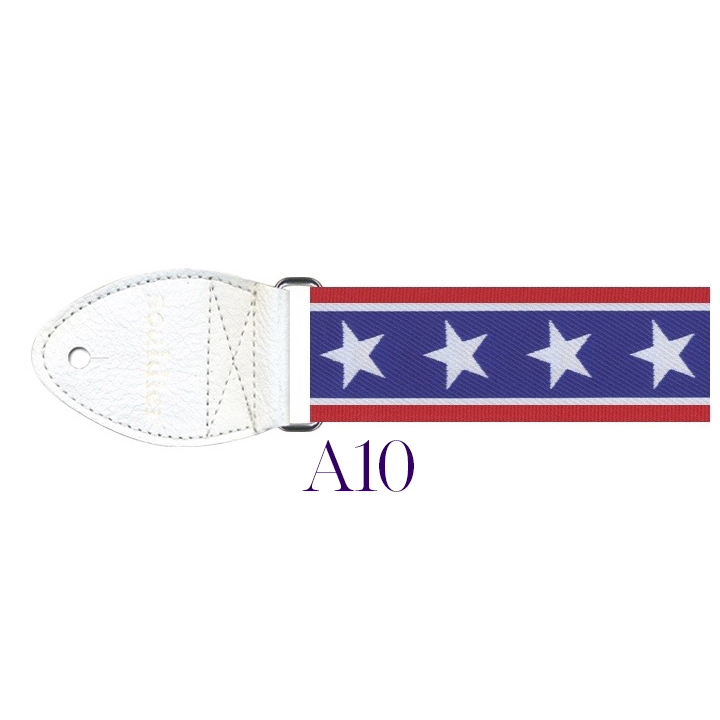 Simply attach each end of the strap to the buttons. Put your left arm and head through the harp strap loop making sure that the strap crosses over your right shoulder, across your back, and under your left arm. 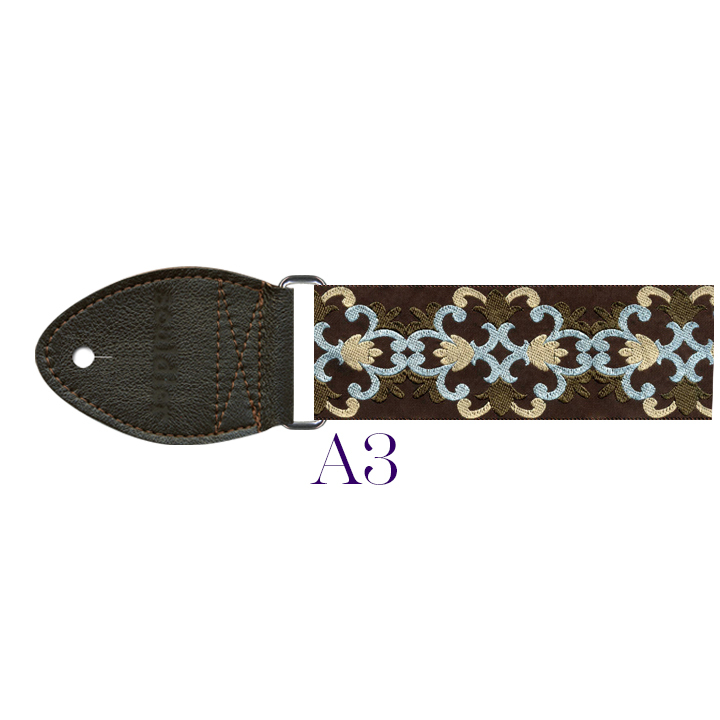 You will want to adjust the length of the strap and situate the harp so that it rest comfortably against your body. Depending on your body type this position may vary a little for each person. Play around with the positioning and do what feels the most comfortable to you as long as your head stays on the left side of the harp. The design offerings of the Deluxe Harp Straps (see below) changes periodically. Our supplier discontinues some while adding others. Keep an eye out for the one which is perfect for you and then be sure to hop on it so you don't miss out.